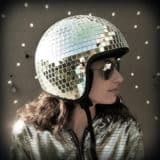 There are few things we love more than when something very useful starts trending and becomes fashionable as well. 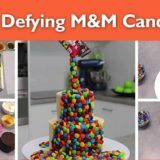 This is especially true when it’s something we know how to make rather than buying! That way we get some DIY satisfaction out of it whenever we use it, plus we look stylish at the same time. This is exactly how we feel about the recent obsession with adorable tote bags that has resulted from businesses trying to discourage the widespread use of plastic bags! 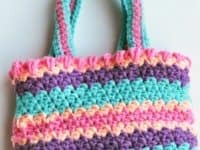 Our absolute favorite way to make a good DIY tote bag is to crochet it. 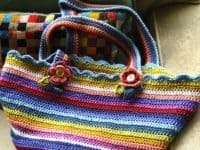 If you’d like to do that too, check out these awesome and rather easy crocheted tote bag patterns that will have you carrying things in style all year round! 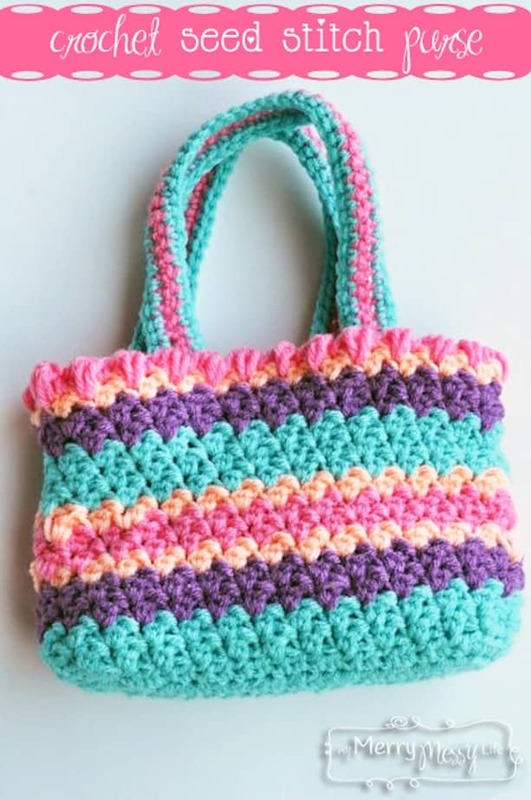 When you think of crocheted bags, does your mind automatically picture bright colours and a bag packed with beach supplies during the summer? 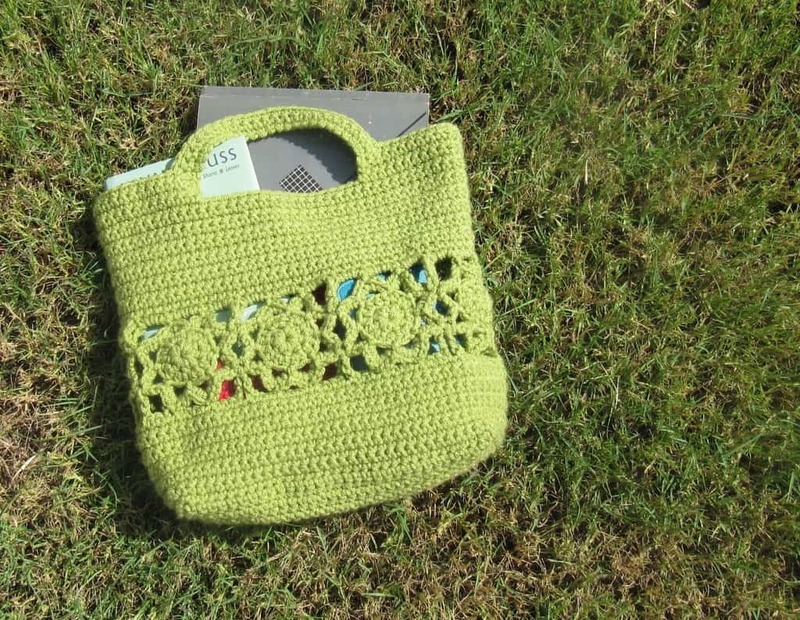 We don’t blame you- the first bag we ever crocheted went to the beach with us for years! 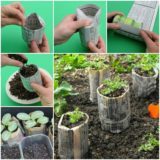 Check out this design that lets you get colourful in the striping pattern and have fun with some flowers along the top. Perhaps you’re looking for a big that’s a little bigger and very strong so you can carry your groceries back and forth nice and easily? 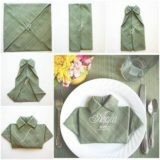 Then this design might be the one for you! 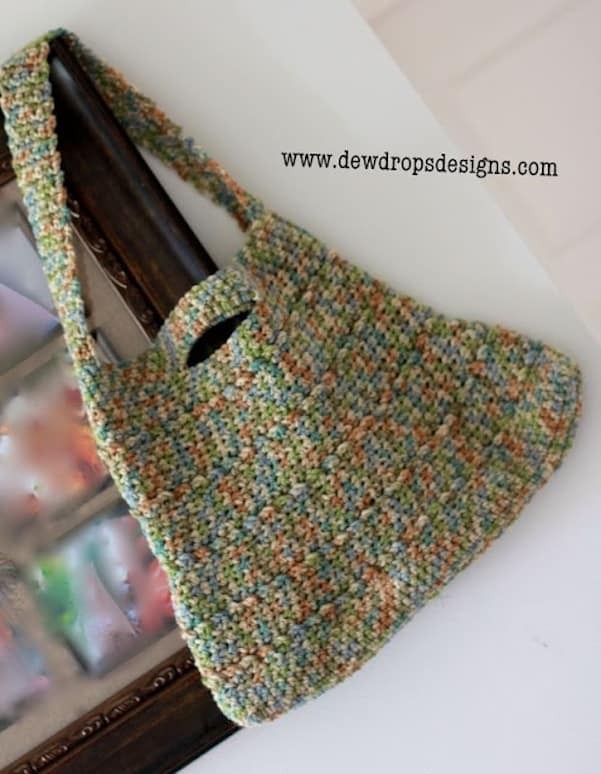 Thick straps make it easy for carrying but the decorative stitch in the body of the bag keeps it cute (and is a lot easier to do than it looks). 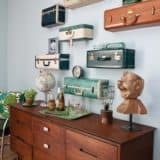 Did you like the idea of colourful stripes when we talked about it above but you’d rather get even brighter with yours? 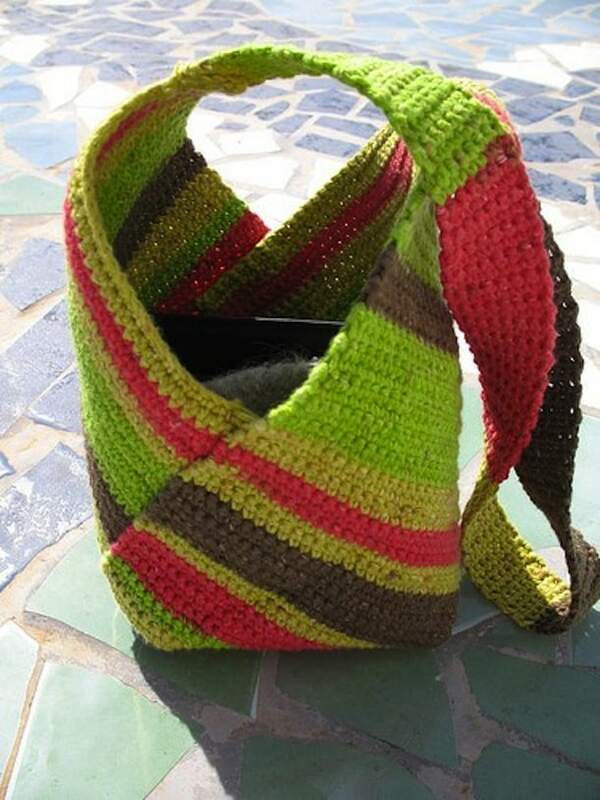 Then check out this super striped bag design instead! These stripes are the biggest feature of the design to the point that they even go up the handles. We love the way the designer embellished the bag with little flowers at the top, but it would still look cute if you decided to stick to just stripes too! 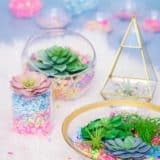 Are you the kind of diverse crafter who absolutely loves combining your different skills and techniques whenever you can? 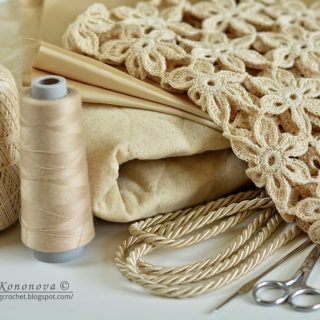 Then here’s an amazing, useful, and trendy way to marry your crochet and felting skills! 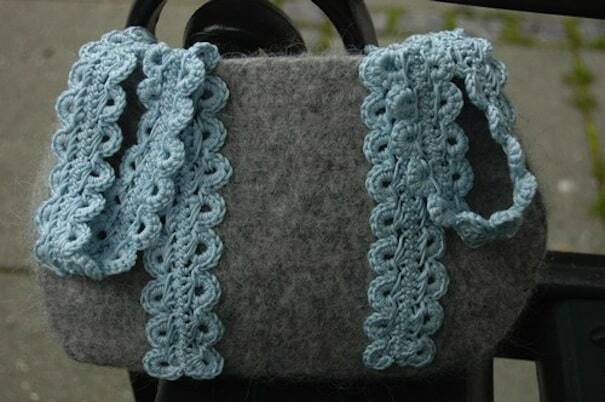 Felt yourself a simple pouch in a basic bag design and try your hand at crochet lace by making these gorgeous handles in any colour! 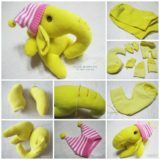 Are you an avid sewing enthusiast who also likes to crochet? 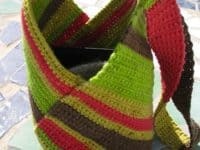 Then perhaps you’d like to try the challenge of crocheting yourself strips or pieces of brightly coloured striping and sewing them together in a unique overlapped shape! We love the way this one wraps around itself almost like a beach sarong. 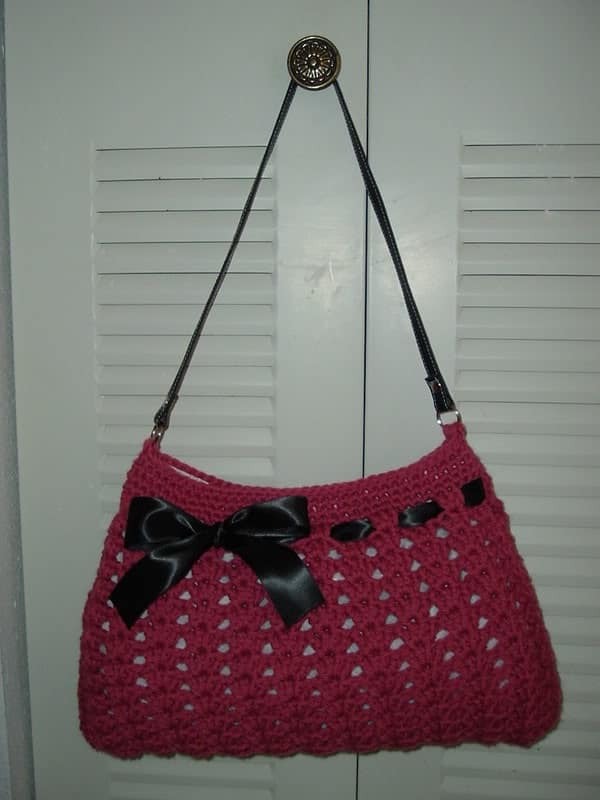 Have you ever seen old movies featuring runaways who pack an old crocheted sack with all of their belongings? 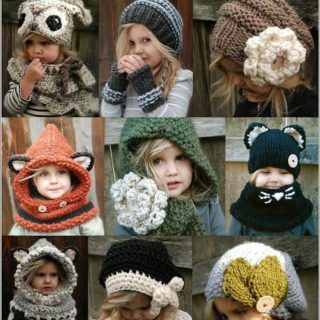 Well, this is the same idea, but classed up a little bit to make things especially cute! 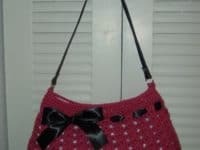 This designer suggests not only crocheting a cute eyelet pattern, but also stringing a ribbon around the top in a big bow and beading the surface in matching seed beads. 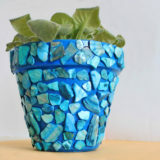 Contrasting coloured beads would be adorable as well! 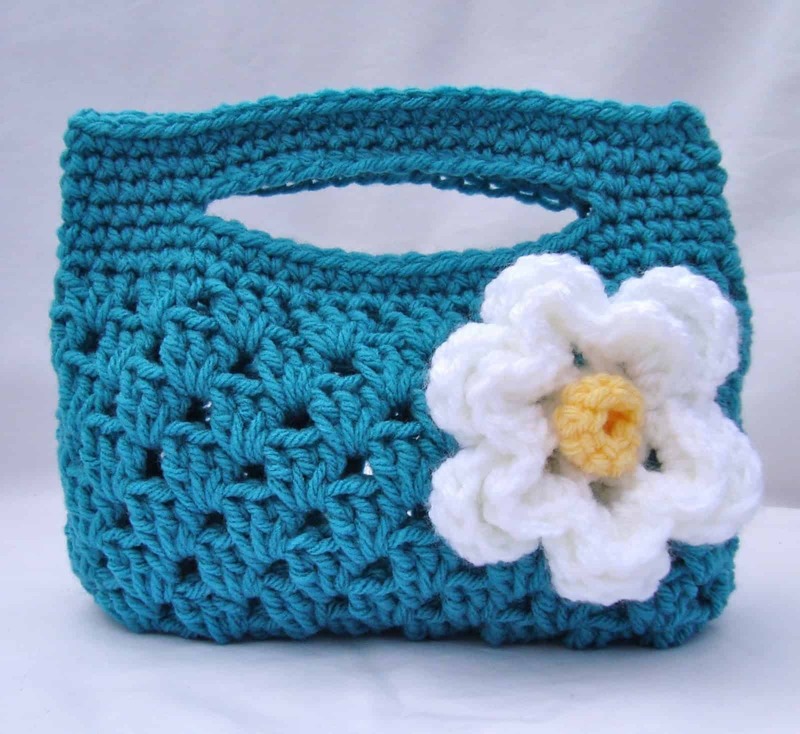 When we were young, our grandmothers had adorable little crocheted purses that they’d carry right in the crook of their elbows and pull sweets and candies from. That’s exactly what this adorable little handbag design is paying homage to! We love the addition of a pretty flower that’s simple but looks incredibly fun. 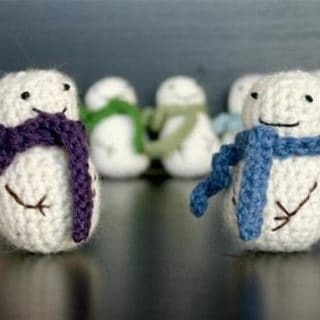 Do crocheted things always remind you of cozy cardigans? Well, instead of avoiding them because of that, embrace the cardigan aesthetic entirely and add some big, bright buttons to your bag! 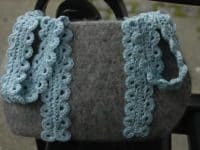 We love the way this designer affixed them to the base of each strap as thought the handles are buttoned on, even though they’re crocheted more firmly underneath to avoid dropping all of your things. 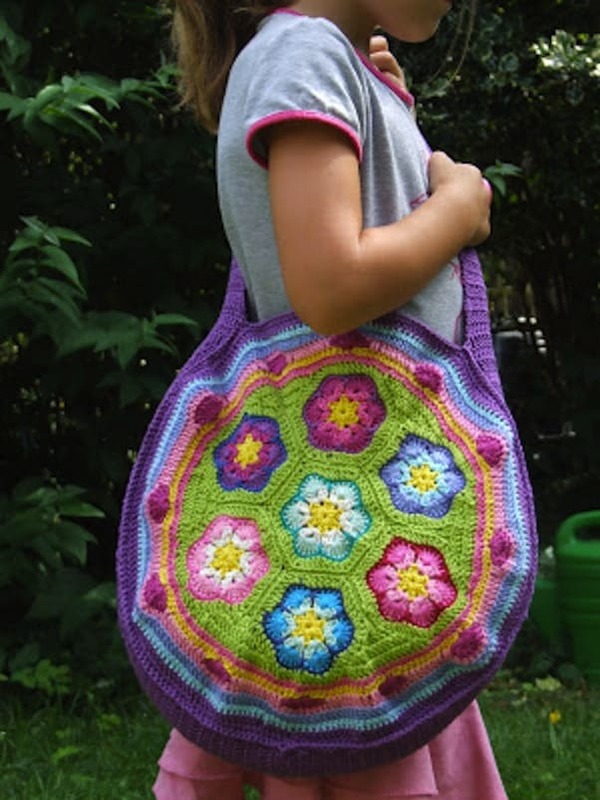 Have you always enjoyed making “granny squares” in all different colours and crocheting them together to make all kinds of shapes and projects? 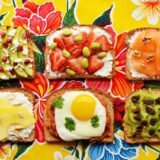 We love those too! 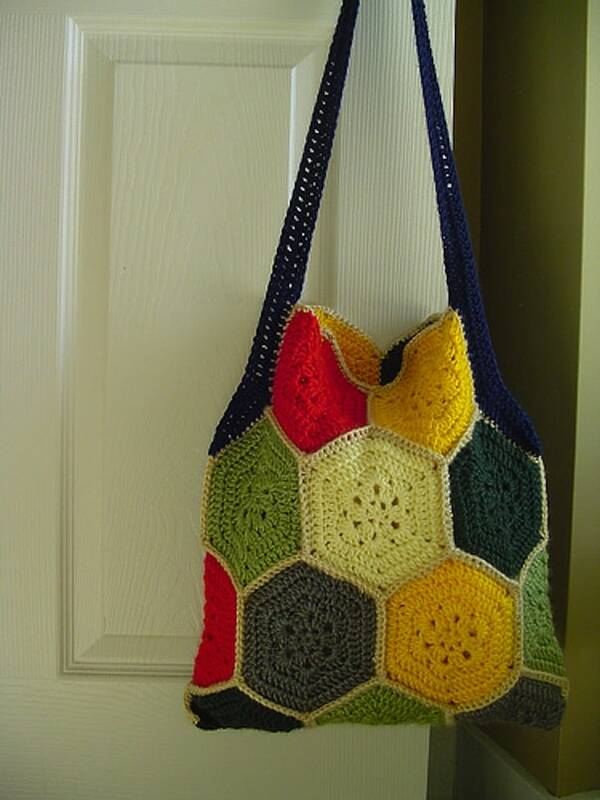 That’s why we’re particularly fond of this tote made from hexagonal patches that remind us of honeycombs. 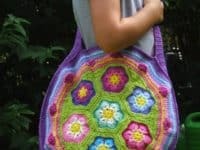 Maybe you like the granny square idea but you can’t decide between that and your other favourite technique, crocheting flowers? 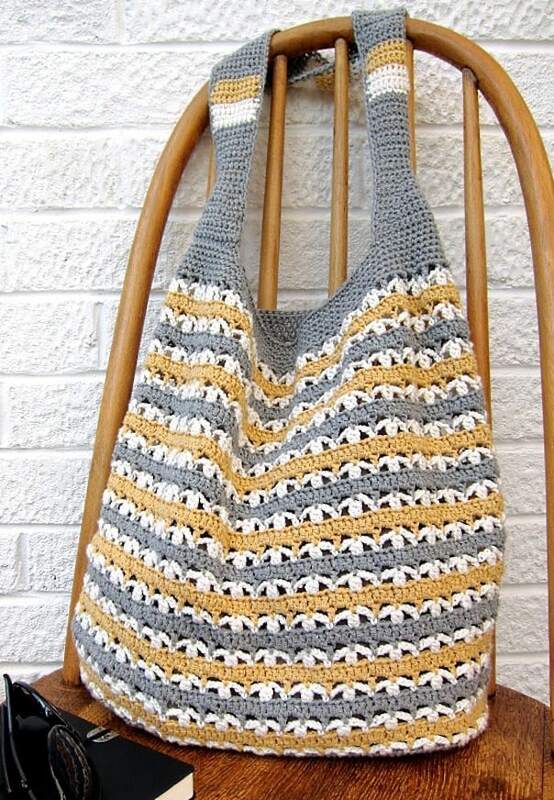 Well, this designer has found the perfect way for you to do both at once and still make yourself an awesome tote bag! We’re in love with how bright and cheerful this design is, but it would be pretty in calmer tones too if neutrals are more your style. Maybe you like a bit of floral pattern but you’re still learning, so you’d prefer a design that still stays quite simple across most of the bag? 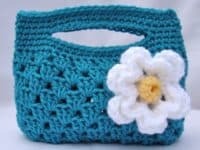 Then try one that teaches you to crochet a simple floral cutout pattern like this bag has right across the middle! It’s the perfect size and shape for carrying books to and from the library or school, or magazines to and from the beach! 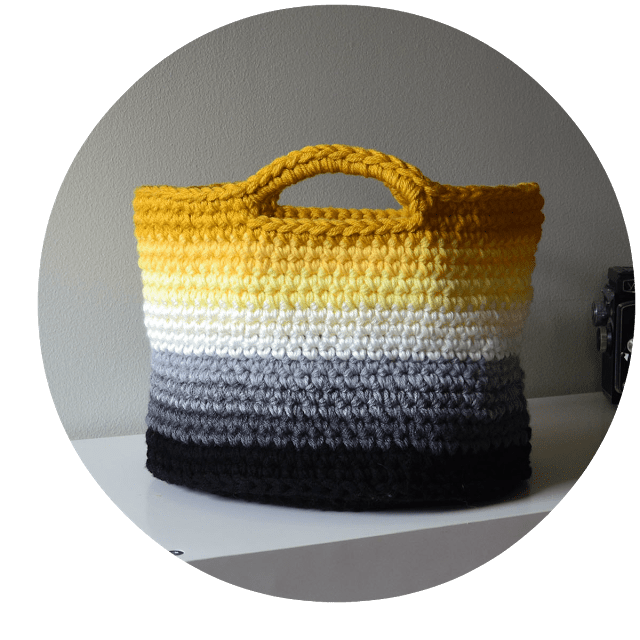 Perhaps you love the basket tote shape and design from above but you’re more interested in colours rather than cut out designs? Then check out how this pattern uses stripes in a subtle ombre to create an interesting colour face all the way down from handles to base! No matter what colours you use, it’ll be surprisingly lovely looking in the end for how simple its construction is. 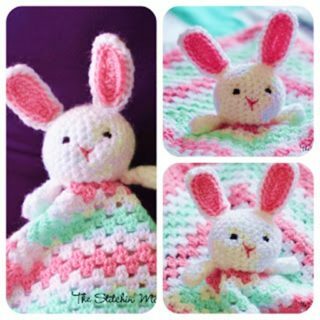 Have you always been a big fan of learning new stitches and stitching patterns by jumping right into a project that uses them over and over, rather than just trying them in a little group and then moving on? 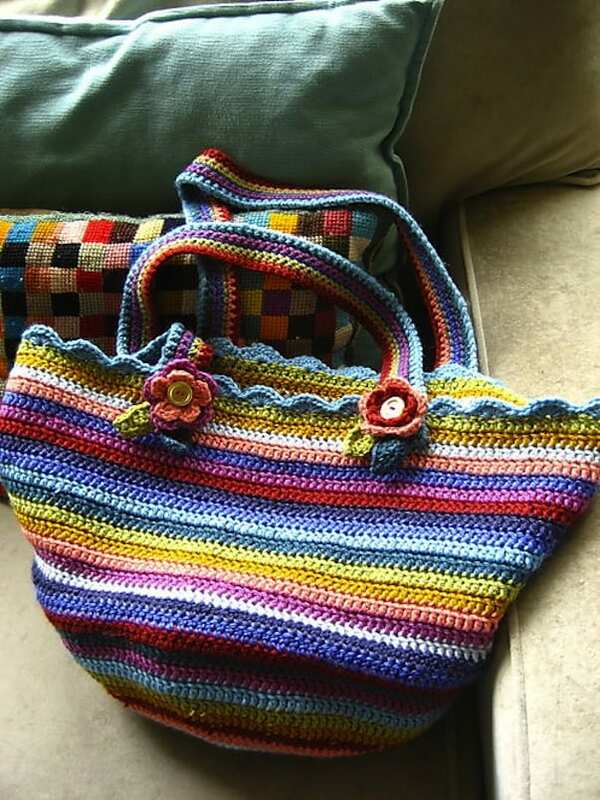 Then this awesomely stripes tote bag is the perfect way for you to learn crocheted seed stitch! We adore that even the handles are striped in contrasting colours for maximum fun. 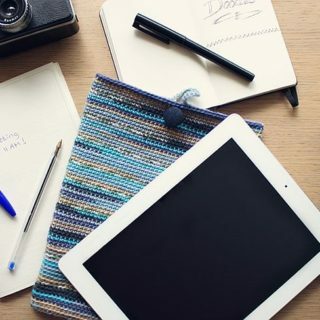 Are your favourite bags and purses the kind that have a strap to carry over your shoulder and a hand strap, just in case you’re carrying something very heavy and get tired in one position? 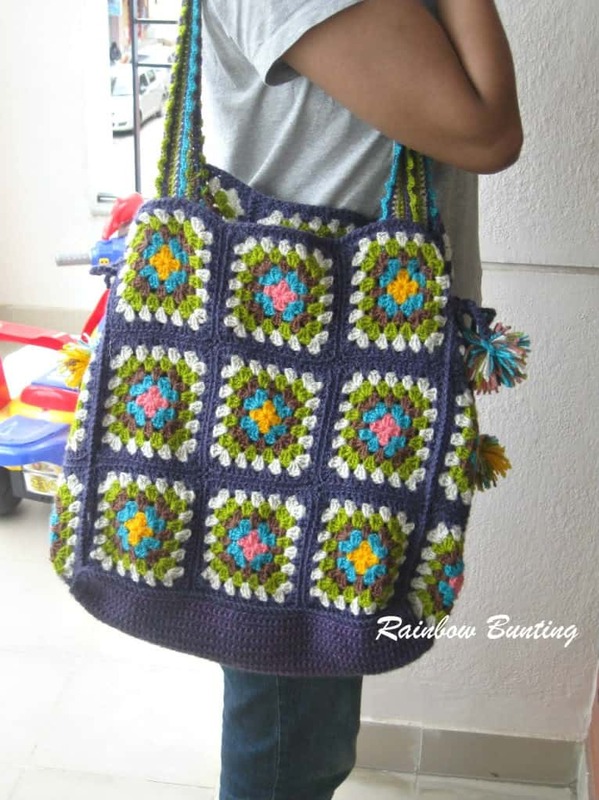 Then it’s a good thing you’re custom making your own totes and can add whatever you like! 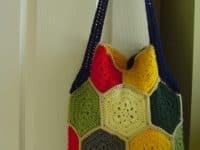 This design shows you not only how to crochet a simple sack, but also how to double the straps in different lengths for maximum carrying power. Remember when we were talking about granny squares and how great they are, but then we only really showed you a variation on them rather than the classic design? 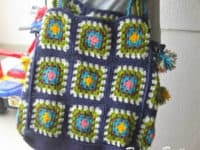 Well, we couldn’t bear to leave you hanging, so here’s an adorable granny squared bag in a bigger size, complete with cute pom pom tassels for ultra crocheted style!